What questions I should ask my graphic designer? I’m listing the top 4 things I get asked often as a graphic designer. Stuff that people have no idea about – the process, how many concepts… if you are contemplating working with a designer right now and about to invest in your business to design your brand be sure to ask the right questions. How many logo design concepts will I receive? This varies. I can design and create around 4-8 designs. Depends on the theme of your business to be honest too. Sometimes I come up with loads! I do always narrow down to the ones I feel the strongest to send to my clients. How long does it take to do my logo? I am not a do-it-now logo designer. I can do emergency graphics for people. This is quite different. Logos are a different beast though. They need to be thought out well, they need discovery sessions, a questionnaire and I love reading about who your ideal client is. 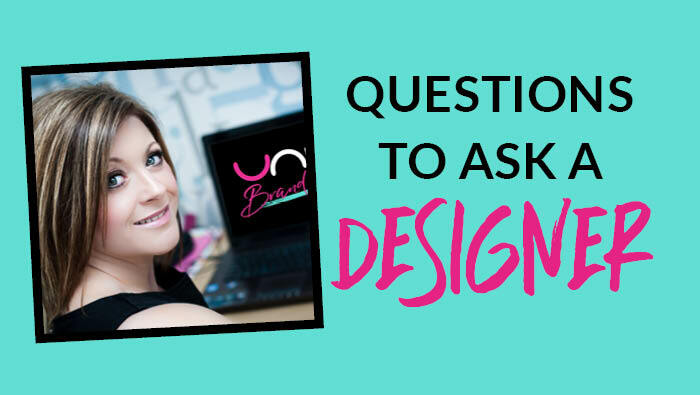 I know from that questionnaire how to move forward with your designs in order to target your ideal client and potential customers. I love doing mood boards – about 3 – to discover what look and feel we will create for your brand moving forward. I do quite often start a logo and sleep on it over night too. It seems to give me a fresh perspective. At the very most a week is about as long as I take. Once you send me the logo concept, can I mix and match different elements, change colours and fonts etc? YES! So once I send you the concepts, then I totally advise you take some time to review (mmm.. I will do a separate newsletter on design by committee, not always the best option! ), eliminate and find the one that really speaks to you the most. By this, I mean, what one gets you the most excited. If you like one logo, but you love a small element, like a diamond, wave, swirl, star (any icon we are working with) or a colour from one of the others then we can add that in to the one you like the most. We do a second version and continue to do a revision, up to about 4-5, until BOOM – there’s your logo! Once you design my logo, what next? This is the exciting part. So we move on to start building your business brand. YAY! I convert all your logos into versions that you can use across all media platforms. From websites to billboards. If you work with a designer and they don’t give you an eps file of your logo then they are doing you an injustice. This type of file is called a vector – this can be scaled to billboard size without ever losing quality – think building your big brand! It can also be used for embroidery and print for merchandise and clothing, not everyone has an online business and I am mindful of this especially in terms of potential growth. You name it, we brand it! It’s here that you really see your business start to come to life. It’s the exciting part. I also produce a set of brand guidelines which list your fonts within your logo, ones which complement your logo to use on your website and fonts which can be used as body text or to add personality to any marketing. In addition I also list your HEX colours to use on your website as well as colouring to add flair and creative detail to your website and marketing. 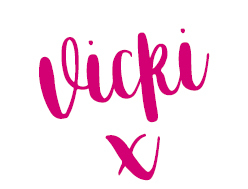 Also if you go on to work with another designer you can just pass them over to any designer who can then make up adverts, signage, newsletters – you name it – and it will all look and feel like you and your business – all the time! Genius! So there you have it, most graphic designers work in the same way – some are strict and offer one revision – ouch! Some offer small package, some offer fairly comprehensive packages, some designers specialise in illustration, some focus on text based logos – we are all very varied. But do your homework to find the right one for you.